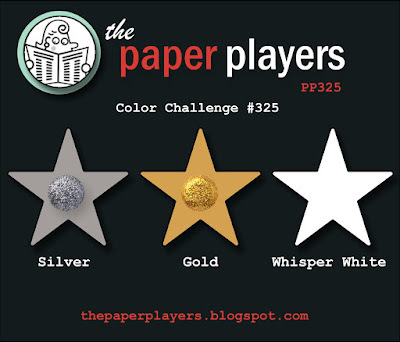 The final Paper Players challenge of the year was harder than it seemed at first glance. 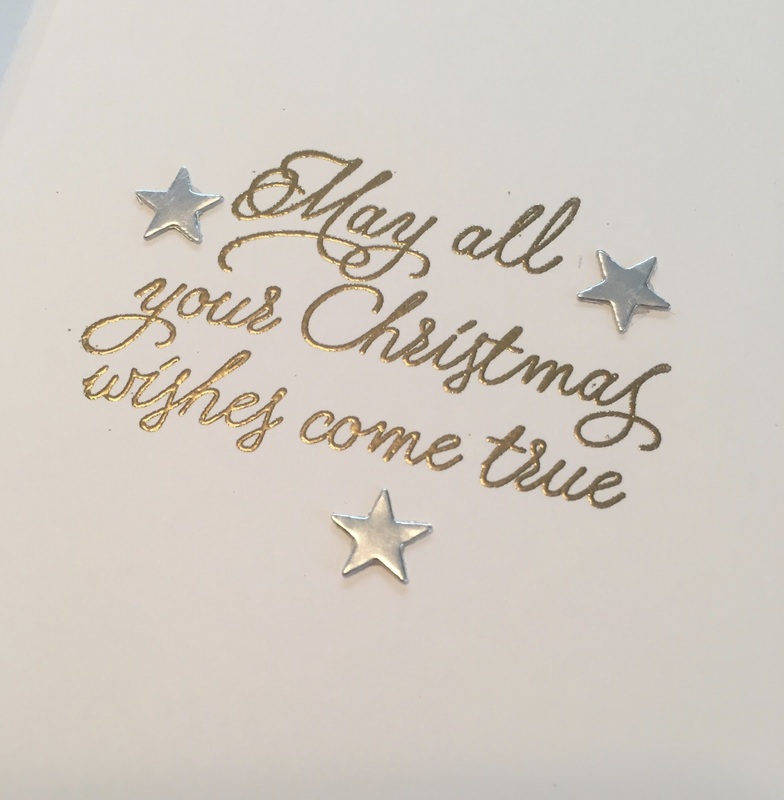 It looked so Christmassy and so opulent but it was so hard to get the metallics balanced! The whole idea started off with a piece of embossed vellum I've had sitting on my desk for a while, ever since I embossed it just to see what would happen. The gold wreath ring is cut using two scallop circles from the layering die set. 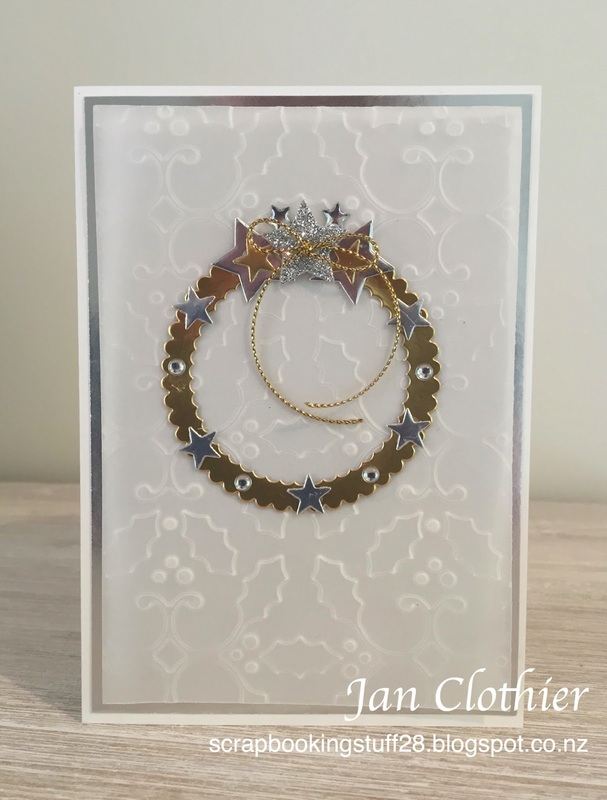 The stars are cut using star elements from a couple of other thinlet sets: the Circle flip card and the Mini Treat Bags and using a mix of gold and silver foil and silver glimmer paper. I've added in a few stars and circles from Metallic Shapes. I also did something I seldom do - I saved the sentiment for the inside. Update: Delighted to be picked as A Cut Above at the Paper Players! 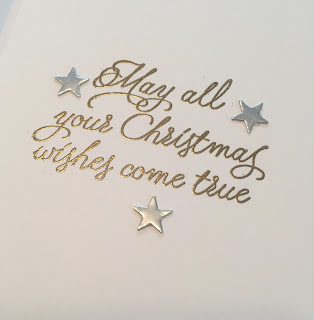 Card: Whisper White, Silver Foil, Vellum, Scraps of Gold foil and Silver Glimmer paper. 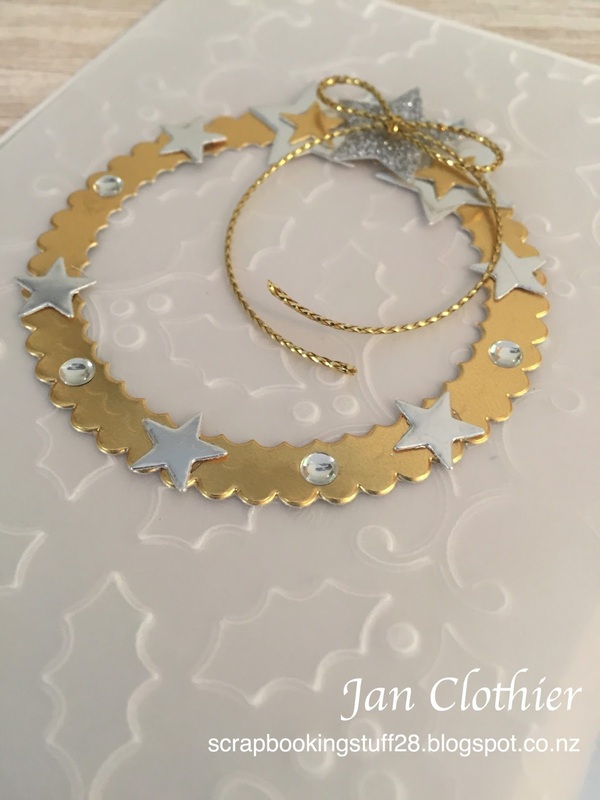 Other: Holly embossing folder, Gold embossing powder, Layering Circle framelits, Star dies from Mini Treat thinlits and Circle Flip card thinlit, Gold cord, Silver metallic shapes, dimensional. Oh my gosh, I want to be you when I grow up! This is so stinking cute and simple! Love the background, but the "wreath".....so, so sweet! Thanks for sharing this....another pin-worthy creation! Thanks so much Leanne - but I think I'd rather be you! 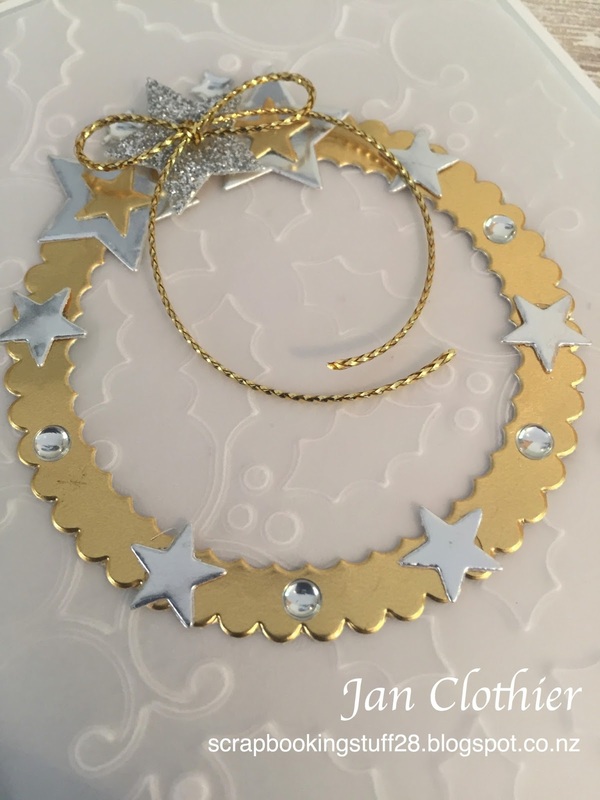 Jan, this is gorgeous! We would never know you struggled at first. The balance of color is just perfect and this is the sweetest wreath I've ever seen! So glad you joined us at The Paper Players! So pretty! That embossed background is gorgeous. Thanks for joining us at The Paper Players!Merry Christmas!